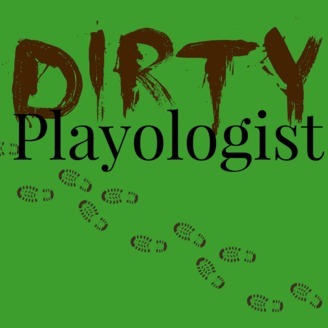 Toddlers and Mud – oh so Much Fun! 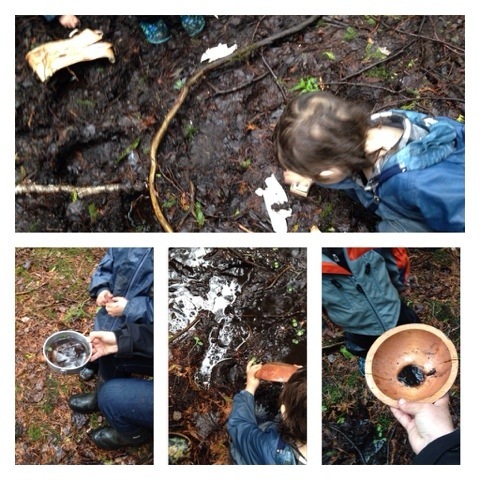 May 16, 2014 June 8, 2014 childongroundLeave a Comment on Toddlers and Mud – oh so Much Fun! Our toddler Playgroup had a blast as we played outside in the Mud on Thursday. We stamped on Birch Bark, panned for Gold and found instead a bug which the toddlers thought was better than gold anyway! As I sat at forest school one thing occurred to me as the kids were working on some project or another. The lack of bells. When I was a child the morning, recess and period changes were marked by a loud shrill bell inside the school and outside only for recess. I still remember my gym teacher watching the time because we could not hear the bells outside. Now it is no longer a shrill bell but a melodic series of 3 chimes that rings not only in the schoolyard but the entire neighbourhood for blocks around. Every recess, every period change, every end of day can be heard throughout the neighbourhood. When I lived close enough to the school to hear the chimes I would still feel hurried as the familiar yet unfamiliar signal sounded. I remember last year around this time heading out to the car with my two young sons. They stopped to splash in the puddle as I started daydreaming enjoying the cool breeze. The bing bing bong snapped me out of my daydream and I felt an instant need to rush everyone to the car. To literally rush my children’s childhood. But at forest school there are no bells. I heard the sound of the water babbling down the creek. 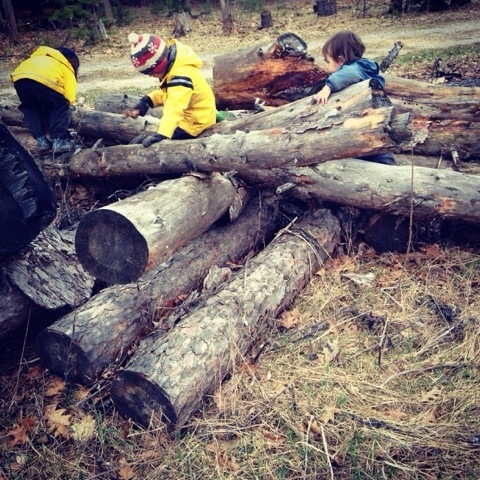 The sound of the trees swooshing in the wind and the thunk of sticks as the children worked on some project with the trees. These sounds slow us down, help us focus, help us breath deep. I remember the study saying that fast paced infant and toddler videos that show a scene for 2-3 seconds, dubbed kids MTV, was ruining kids attention spans but I can’t help but think those bells do the same. Some would argue that at a certain age children need to follow schedules and timelines but surely when children are learning from play, immersed in a world of their own making to learn life lessons, this is not the time to rush them to the next subject or activity. Either at the school or especially at home where the bells now can be heard. We are saying to the children your attention to detail on a project, your social enjoyment are not as important as some outside timeline that need to be met. Saying learning how to enjoy the moment, to enjoy simple things is less important than the need to make sure that everything comes to completion. These are the things my peers strive for, seek therapy to help with, write and read endless self help books to try and capture. Enjoying simple pleasures, being in the moment, focus and connecting with others. If we deserve this, why don’t our children.